Many architectural firms outsource their expediting, building code and zoning services to an array of different companies throughout the industry. With over 30 years in the industry, we provide a hands on approach to our projects. Our advantage is that we file our own applications, meet with the various municipal agencies and follow the project through from beginning to end. We can file the job, and coordinate all of the various inspections and approvals, all the way through the final sign-offs. This approach assures that the process is efficiently handled, cost effective and gives our clients the peace of mind that their projects are done on time and within budget. We provide and coordinate all of the filing requirements and processes at the Department of Buildings, Landmarks Presentation Commission, Department of Transportation, Fire Department of New York, and the Department of Consumer Affairs. 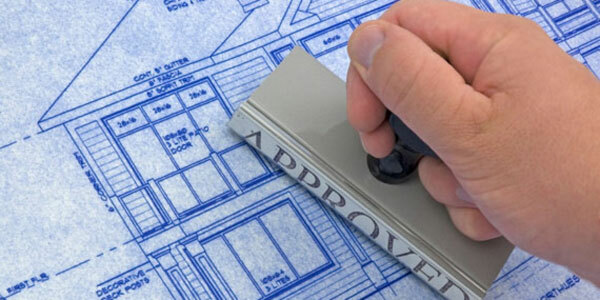 We provide zoning and building code regulations consulting from everything to the addition of a penthouse, conversion of a manufacturing building to residential, or ground up construction. Projects are analyzed for compliance with all city regulations. These services can be done as an independent process used when evaluating properties, or be incorporated into the filing process. – New Business Acceleration Team (NBAT) for new restaurant and food establishments. – The Development Hub (Hub) for new buildings and enlargements. The Hub is the efiling division of the NYC DOB. Alteration Type I – Change of use, occupancy, egress or enlargement. This application will obtain a new Certificate of Occupancy. Alteration Type II – The most common type of application, this is for the renovation of an existing space with no change to use, occupancy, egress or enlargement. Alteration Type III – Is filed for construction equipment, condo subdivisions, and some temporary structures. Builder’s Paving Plan – Is filed for work to the curb, roadway or sidewalk, especially for altering heights or slopes. This application is required to be filed in association with NB or large enlargements. Marquee filings have two parts – An alt II for the construction and an alt III for the registration of the marquee. Each of the various types of applications require permits. As a service to contractors we can submit the PW2 application to obtain a Work Permit for the project. We can also update insurances, obtain required licenses and submit all required items necessary for the issuance or renewal of a permit. We will remind a contractor when a permit or insurance will lapse, so as to renew with no loss of coverage or work stoppage. There are two steps in resolving a violation; addressing the situation that caused the violation and remedying it, and then filing the necessary paperwork to get the violation dismissed. If both steps are not completed, the violation will remain open. Violations are primarily issued to the building address, and run with the land, so a new owner is not exempt from violations that pre-date his ownership. Annual inspection violations, regular violations, hazardous violations, vacates and Stop Work Orders are but a few types of violations that the Department of Buildings issues, and we are able to work with the owner to resolve. Most violations carry fines, many of them hefty and accruing interest for not addressing. We can assist in reducing some of these fines and getting construction back on track. The laws governing building in New York are complex and not always clear. A Determination is a formal written request made to the Department of Buildings for an interpretation, or a clarification of, the Building Code, Zoning Resolution or section 277 of the Multiple Dwelling Law. We have extensive experience in preparing these requests. In addition to their online records of projects filed after 1992, The Department of Buildings maintains original paper or microfilm copies of all applications filed on a property. These are available to the public. As does the New York City Landmarks Preservation Commission. Additionally, the City Archives has tax photographs of every building existing in the early 1940′s. 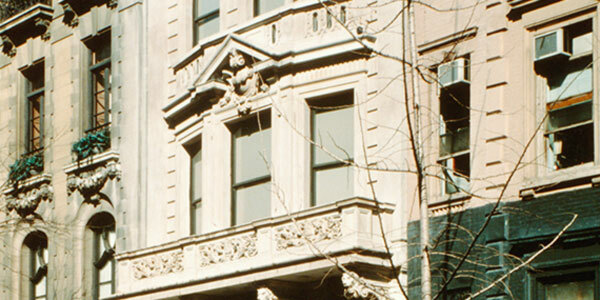 When a project needs older or more extensive records research, we have a network of professional historical researchers with access to New York City’s extensive list of libraries, museum, historical societies and other institutions. A Certificate of Occupancy documents the legal use of the building, and is obtained by filing an Alteration Type 1 application. The process for closing out the application is a coordination that encompasses resolving all violations, closing out all open applications, having all inspections conducted and passed, assembling all required paperwork and reviewing those documents with the Department of Buildings. The process to obtain a new C of O has many facets, and KOHN ARCHITECTURE coordinates these into a comprehensive spreadsheet for the sign off process. In order to achieve a Temporary and then a Final C of O, all parties must work closely together to achieve the approval. A Letter of Completion is the document that signifies that an Alteration Type II application has been signed off. It shows that all required items have been filed, all inspections completed and the work has been performed in conformance with the approved plans. The Façade Inspection Safety Program (FISP), first enacted as Local Law 10/80, and later expanded by Local Law 11/98, requires owners of buildings greater than 6 stories conduct and report inspections of the façade every 5 years. These laws were enacted to protect pedestrians from dangerous façade conditions that could (and have) resulted in pieces of the facade falling and hurting or killing pedestrians. A façade will fall into one of three categories: safe; safe with a repair and maintenance program (SWARMP); or unsafe. A safe condition means that no action is needed and will not need to be re-inspected for another 5 years. A safe with maintenance program (SWARMP) must have the issues corrected within the cycle, and an unsafe condition has 30 days to repair. Kohn Architecture has certified, licensed and insured inspectors to provide this service. To install a sign, a construction permit is required from the Department. Signs that are painted or smaller than six square feet and not illuminated do not require a permit. Permits are issued by the borough office of the borough in which the sign is located. If the building is located in a Landmarked Preservation District, a permit from the Landmarks Preservation Commission is also required prior filing a permit Application to the Department of Buildings. If a Public Hearing is required, we can prepare and attend the hearing as part of our services. If the sign requires an electrical connection, an electrical permit is required from the Department. The permit must be filed for by a licensed electrician and issued by the Department’s Electrical Division. Illuminated Sign Permit – If the sign is illuminated, an annual illuminated sign permit may also be required. Illuminated sign permits must be renewed annually. Temporary Structures are structures that have a limited timeframe (less than 30 days) with a specific start and end date. These types of structures include temporary tents (such as fashion week) as well as start and finish trusses for races, and certain art exhibits. Depending on the scope of work, these may be filed an Alteration Type II or Type III applications. A Place of Assembly Permit (PA) is required for interior spaces that exceed 74 persons, and exterior spaces that exceed 199 persons, such as theaters, sporting events, restaurants, etc. This permit is a no work application and is in addition to a construction permit. The permit defines the means of egress for the space and must be renewed annually. When a PA is established, it is subject to random inspections by the Fire Department (FDNY) for compliance with fire and egress regulations. A Temporary Place of Assembly Certificate of Operation (TPA) is required where 75 or more people gather indoors or 200 or more gather outdoors, for religious, recreational, educational, political or social purposes, or to consume food or drink. A TPA is issued for events lasting less than 30 days. Temporary Place of Assembly Certificates of Operation are issued by the Department of Buildings (DOB) Borough Commissioners Office, and are approved on a case-by-case basis. In all cases, written requests for a Temporary Place of Assembly Certificate of Operation must be made within 10 days prior to the event in order to avoid additional fees. The receipt date of the written request will be counted as one of the ten business days. Additionally the FDNY will come to inspect the event to ensure that it is in compliance with the filed TPA. This inspection is subject to hourly fees by the FDNY. They will issue you an invoice after the inspection is complete. In converting a building to a condominium, one of the regulatory filings required is an Alteration Type III Condo Subdivision filing with the DOB. This filing establishes the individual tax lot numbers issued by the Department of Finance for the subdivision. Additionally the subdivision must also be filed with the Department of Finance. There are more than 31,000 landmark properties in New York City, most of which are located in 110 historic districts and 20 historic district extensions in all five boroughs. The total number of protected sites includes 1,332 individual landmarks, 115 interior landmarks and 10 scenic landmarks. Some of these are also National Historic Landmarks (NHL) sites, and many are National Registered Historic Places (NRHP). Any and all types of work proposed on an individually landmarked building or on a property located within a Landmark Preservation District must be filed and reviewed by the Landmarks Preservation Commission, even if the work does not require a permit from the Department of Buildings. There are two types of interior applications to the Landmark Preservation Commission. An expedited filing is for interior only work at the third floor and above. This application receives a cursory review from the LPC and is processed within a week. An interior only application below the level of the third floor, receives a full review from a staff level preservationist, and may require additional information be submitted. This type of application may be eligible for the ‘FastTrack’ process, and takes approximately two weeks for approval. Any work proposed on the exterior of a building, no matter how visible, that is on an individually landmarked building or on a property located within a Landmark Preservation District must be filed and reviewed by the Landmarks Preservation Commission. The scope of work will be reviewed by a staff level preservationist and additional information may be requested. The preservationist will determine if the scope or work requires a public hearing or may be approved at staff level. Exterior filings with the Landmarks Preservation Commission, depending on the scope of work, may require a full set of plans matching the DOB filing, Landmarks filing forms, existing and proposed photographs, mock ups, paint samples, material samples, machinery specifications, and mortar recipes, to name a few. KOHN ARCHITECTURE has 25 years of experience working on Landmarked properties in New York City and will be able to advise on the items required for filing, based on the proposed scope of work. A public hearing will be required if the proposed work falls outside of the of Title 63: Landmarks Preservation Commission Rules and Guidelines (http://www1.nyc.gov/site/lpc/applications/rules-and-master-plans.page) and is not in keeping with the historical nature of the building or area and is visible from a public thoroughfare. Public hearings will require that presentation boards or a PowerPoint presentation be prepared; a presentation to the local community board will be required, a notice advertising the public hearing must be placed and the owner or architect will present and defend the design to the Landmark Commissioners, who will then rule on the design acceptance or necessary changes. A building with an outstanding Landmarks violation will not be issued additional LPC permits, until the violation is resolved. This will also prevent any DOB permits from being issued for the property, and thus all work is held up until the violation has been resolved. A violation may be dismissed in several ways: the unapproved work must be filed for as a legalization and approved by LPC. Or the work must be removed and the property restored to its original condition prior to the commencement of work. Typically an escrow must be posted with the Landmarks Commission to release the current application approval while the legalization process is undertaken. Different building occupancies and uses require different types of fire alarm systems. Manual & Automatic Fire Systems, Sprinkler & Valve Systems, Class E Fire Alarms to name a few. Any type of fire alarm, including a sprinkler alarm, must be filed, reviewed and approved by the Fire Department. The system must also be tested by the FDNY prior to the issuance of a Letter of Approval. While Kohn Architecture does not design or engineer the system, we work hand in hand with engineers on the design and installation of these systems. This full service project approach includes; coordination, review and expediting these fire alarm systems as part of our services to the client. An Emergency Action Plan (EAP) is required for office buildings over 6 stories or 75 feet in height; or if occupied by 500 persons on one or more floors, including the street level or by more than 100 persons on one or more floors; or is equipped with a Class B or M fire alarm system. A Fire Protection Plan (FPP) is required to be filed for all high rise buildings; public assembly spaces with an occupant load of or exceeding 300 persons; hotel or institution (over 2 stories and 30 rooms); residential with over 30 dwelling units and 10,000 sq ft of mercantile, assembly, education or institutional use; or large (over 20,000 sq ft) spaces that are used for business, mercantile, factory, high hazard, or storage use. They must be updated every 5 years. KOHN ARCHITECTURE prepares and files all of these various types of plans to the FDNY. Strict regulations govern the placement of structures, HVAC units, bulkheads and other mechanical equipment on the rooftops of buildings below 100 feet in height. These regulations were developed in order to allow emergency personnel to safely maneuver during a fire or other emergency. A roof plan must be filed with the FDNY for their review and approval for any new structures or roof work. 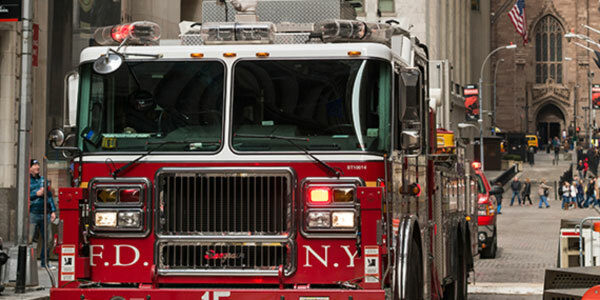 Sprinkler systems, either functioning or nonfunctioning, that will be shut down or demolished as part of the construction, must receive a variance from the FDNY. Temporary protection, such as a temp loop, temp standpipe or fireguards, may be required. Kohn Architecture prepares and file all of these various types of plans to the FDNY. The zoning for the area where a sidewalk is planned is governed by the street on which it will be located and the zoning for the area. 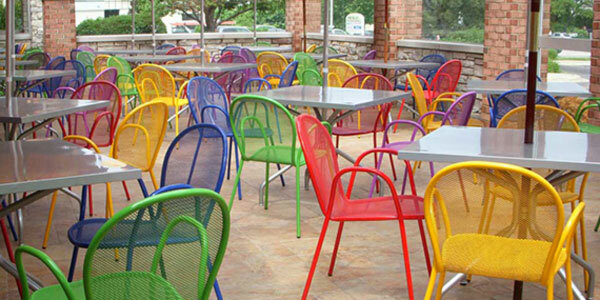 There are three types of sidewalk cafes: enclosed, unenclosed and small unenclosed. The type permitted is regulated by the street on which the restaurant is located, as well as the available sidewalk clearance. The process takes on average 6 months, and requires approval from the local community board. KOHN ARCHITECTURE has extensive experience in helping restaurant owners design sidewalk cafes in an around New York City. KOHN ARCHITECTURE specializes in getting these permits. Whether it is a determination of the zoning or the requirements set forth by New City Department of Consumer Affairs (DCA), we have both the expertise and resources to get the job done. • Small Unenclosed Café: open space with a single row of tables and chairs. • Unenclosed Café: An open space with tables, chairs, fences or planters which is not enclosed but could be covered with an awning. • Enclosed Café: A permanent enclosed structure with heating and air conditioning. • Regulated zones where sidewalk cafes are permitted and where they are not. • Restaurants are required to be located on the ground floor. • The minimum sidewalk width required for pedestrians, the distance from obstructions like hydrants, trees or parking. • Approval by the local community board where the café is to be located. When applying for a sidewalk café permit, the process is somewhat complex and requires knowledge of the rules, regulations and procedures for approval. KOHN ARCHITECTURE with its extensive experience can guide you through this process in a smooth and systematic manner. Kohn Architecture designs creative solutions for all types of barrier free needs or requirements from; elevators, wheelchair lifts, ramps, stairs, public and private restrooms, to commercial and residential spaces. We provide filing and approvals through the Buildings Department of New York City, the New York City Department of Transportation, and the Mayor’s Office for People with Disabilities (MOPD). 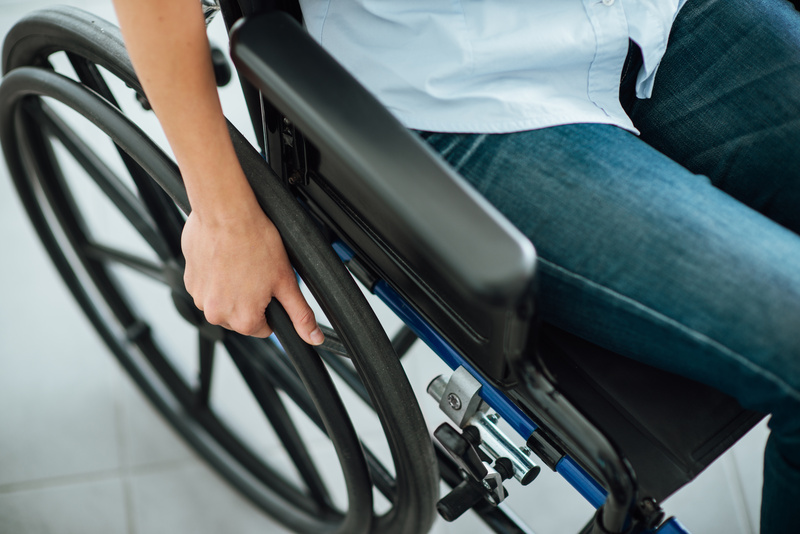 The ADA is a comprehensive civil rights law. It prohibits discrimination on the basis of disability in employment, state and local government programs, public accommodations, commercial facilities, transportation, and telecommunications. ANSI 117.1 is part of the IBC (International Building Code). The accessibility requirements in the IBC references the ICC/ANSI A117.1-2009 Guidelines. The Department of Justice (DOJ) published the Americans with Disabilities Act (ADA) 2010 Standards for Accessible Design in September 2010. It is mainly a technical guideline on how to make elements accessible to people with disabilities. Chapter 11 of the 2014 New York City Building Code, now supersedes the accessibility requirements based on the ICC/ANSI A117.1-2009. No exceptions are allowed for new buildings; the accessibility code must be followed. However, in existing buildings, Chapter 11 of the 2014 New York City Building code does allow for special provisions and specific requirements, based on scope of work. Residential occupancies where the residents are primarily permanent occupants (R-3 occupancies), occupied before March 13, 1991 (a date relative to the Fair Housing Act), as well as those occupied after, but with fewer than four dwelling units, are exempt. These are small residencies, such as one- or two-family homes and group homes. Also, when ordinary repairs (repair or direct replacement of existing fixtures or maintenance) are performed, those are also exempt from the requirements of this code. Buildings under a Group U (Utility) use are also exempt, with a few specific exceptions for public spaces. The accessibility chapter is one of the most critical aspects of the building code because it affects nearly every other trade or work type involved in the design. It is critical to ensure that the design and construction meet these requirements to prevent any issues in the permitting process.